UN Secretary-General Antonio Guterres warned Wednesday that full-scale military operations in Syria's Idlib province could lead to a "humanitarian catastrophe" and cautioned against the use of chemical weapons. 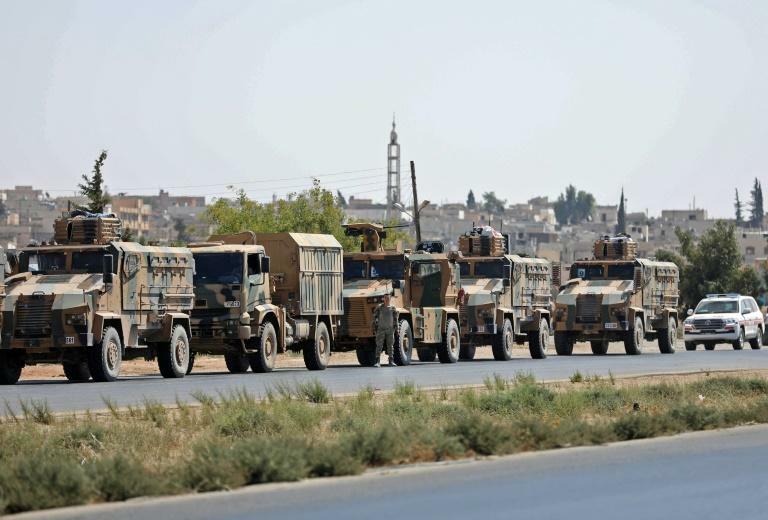 Guterres's warning came amid fears the Syrian government is mobilizing for a military offensive to retake Idlib, the last province still held by the country's beleaguered rebels. "The Secretary-General is deeply concerned about the growing risks of a humanitarian catastrophe in the event of a full-scale military operation in Idlib province in Syria," a UN statement said. "The Secretary-General once again reaffirms that any use of chemical weapons is totally unacceptable." He appealed urgently to the Syrian government and all other parties "to exercise restraint and to prioritize the protection of civilians." Guterres also urged the guarantors of a so-called Astana peace initiative led by Turkey, Iran and Russia to step up their efforts "to find a peaceful solution to the situation in Idlib, the last remaining de-escalation zone." According to western estimates, some three million people are at risk in the province, which borders Turkey. An offensive by the Syrian government, which wants to retake the province with the backing of Moscow, would have explosive repercussions for civilians as well as for moderate rebels and radical Islamists. During closed-door talks at the UN Tuesday that were requested by Russia, Moscow claimed, without evidence, that "white helmet" rescue workers were preparing a chemical attack in Idlib, according to diplomats, who called the allegations "very bizarre." Western powers view those claims as an attempt to deflect attention from preparations for a Syrian military offensive. According to the diplomats, western powers have given the UN Security Council the names of Syrian commanders and regiments involved in the preparations for an offensive in Idlib, who could be held responsible in the event of attacks on civilians. During a public session on Syria at the UN Tuesday, Russia denied any possibility of a chemical attack in Idlib by the Syrian government. Russia's Ambassador Vassily Nevenzia insisted that the Syrian military has no chemical weapons and did not intend to use any.